Looking for a room that strikes you as lovely the moment you enter? Look no further than the Pensacola Grand Hotel. Offering 200 guest rooms and 10 suites in downtown Pensacola, our beautifully decorated rooms feature exceptional bath amenities from the Nourish Spa line and premium bedding, providing all the comforts of home. Complete with free Wi-Fi , our King Room features a 32 inch flat screen TV, spacious desk with plenty of working space and a comfortable king size bed with a plush duvet and 7 pillows. Handicap accessible and high floors are available. Two comfortable queen size beds with plush duvets greet guests opting for this room type. 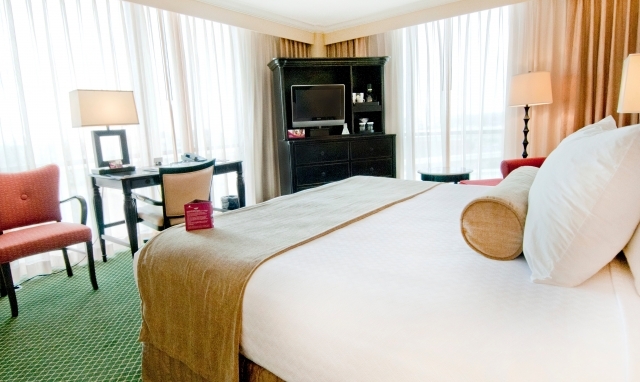 Including a work desk and complimentary Wi-Fi, our two queen rooms are great for families and friends. Spacious parlor the size of two standard rooms, this poolside suite features perks such as free Wi-Fi, a sleeper sofa, and sleep amenities that include a comfortable king size bed. 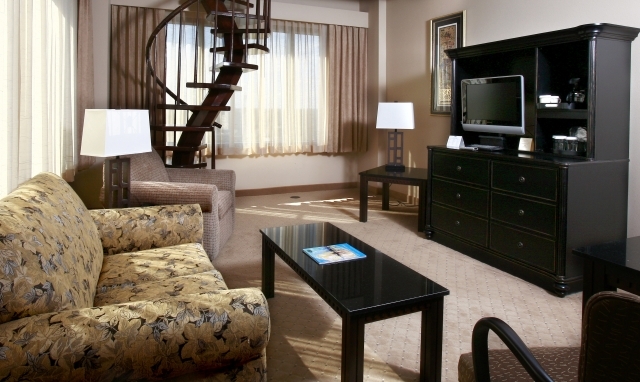 This two-story suite on the exclusive access 15th floor has a spiral staircase to the 2nd level. 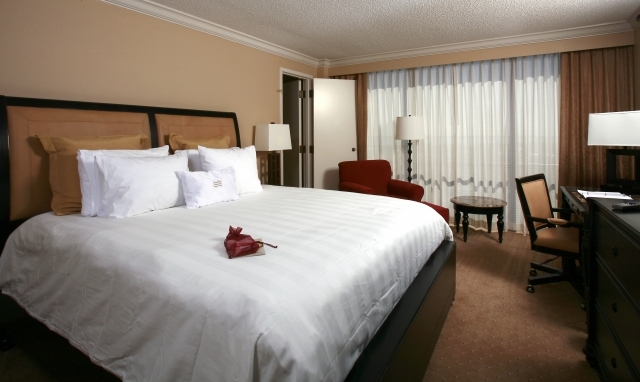 Amenities include free Wi-Fi, 32 inch flat screen television, sleep amenities and a king size bed with seven pillows. 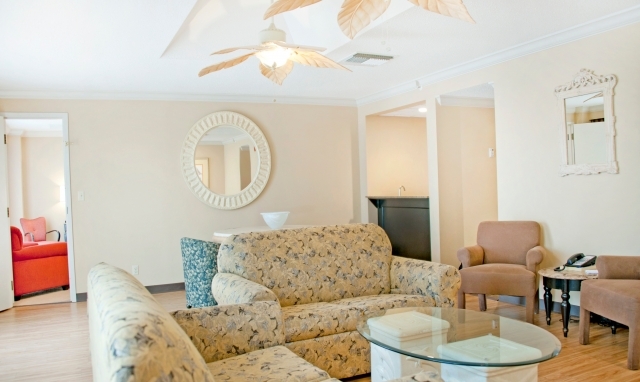 Located on the exclusive access 14th floor, this suite has a beautiful view of downtown Pensacola and Pensacola Bay. Amenities include a spacious parlor the size of two standard rooms, free Wi-Fi, sleeper sofa, 32 inch flat screen television, a microwave and fridge for added comfort. 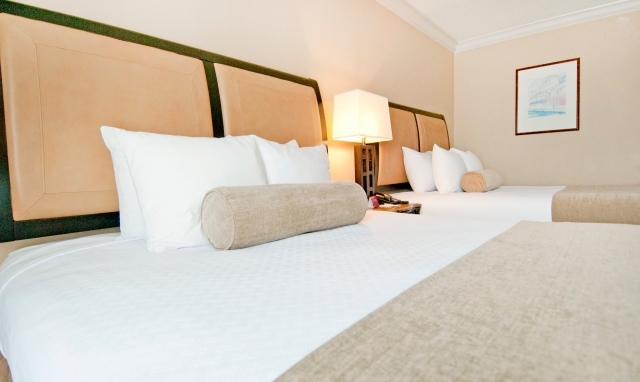 Sleep soundly on a king size bed complete with seven pillows.